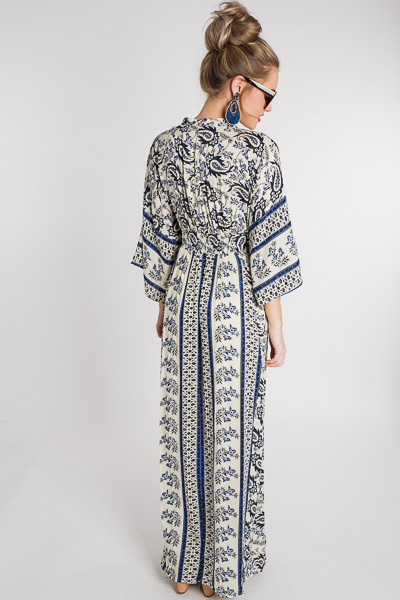 The first word that came to mind when we saw this maxi was SWOON.. the shape, print, and fit are everything! 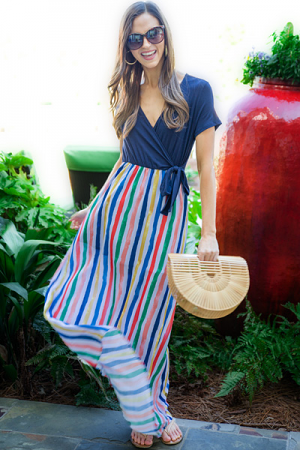 It has the look of a kimono with the boxy sleeves and tied waist, so you know it'll flatter. Lining stops around the knees, so you have coverage where you need it. Shoulder to hem measures approximately: S- 57" M- 57.5" L- 57.5"